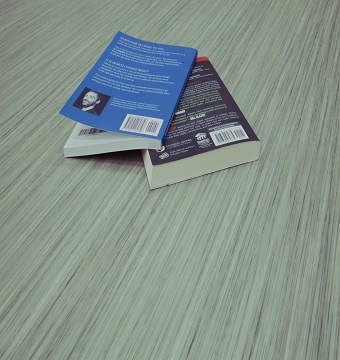 Luxury vinyl tile installation is a quick, simple, cost effective. We’d all love to be able to hire a professional and redo our floors with the best tile, but unfortunately it’s not always feasible. Luckily, luxury vinyl tile is made so well these days that it’s very hard to discern from real tile, and it’s much simpler and cost effective to install. 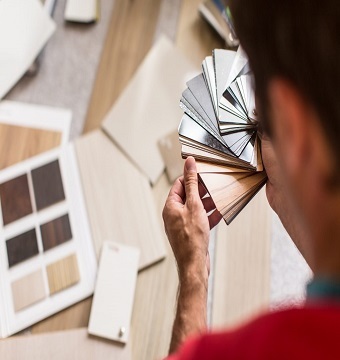 Whether you choose to do it yourself or hire a professional, you’re sure to love the results. If updating your kitchen or bathroom is on your list of weekend to-do’s, then here’s a step-by-step guide to luxury vinyl tile installation. 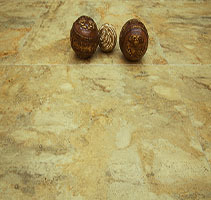 For this project, you’ll need your luxury vinyl tile, as well as your desired type of underlayment, if necessary. Speak with a professional about which underlayment material would be best for your floors. You’ll also want to look into getting grout tile spacers, some type of transition between between your luxury vinyl tile and the next bit of flooring (i.e. a carpet bar), and caulk, if necessary. 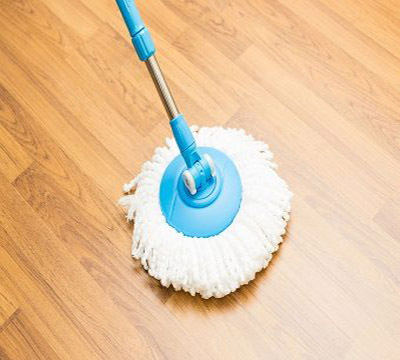 Luxury vinyl tile can be installed directly over smooth, flat, and structurally sound plywood subfloors, as well as concrete subfloor that is at least six weeks old and proven to be dry. However, for other types of subfloor, you’ll want to opt for some type of underlayment. Check to make sure that your floors are level. If there are high spots, sand them down with a belt sander. For low spots and gaps in the plywood, spread floor patch to even the floor out. Dealing with the trim and door jam before installing the new floor will save a headache later. Using a piece of luxury vinyl tile and (if applicable) some underlayment as your guide, undercut the door trim with your oscillating or hand saw. This way, you can slide the tiles right underneath, and you won’t have to stop tiling to do this later on. Before trimming, make sure that the new tile you’re installing will, in fact, be higher than your old flooring. If not, you’ll be left with an unflattering gap in between your door trim and your floor. Once you’ve undercut the door trim, you’ll then roll out your underlayment (if applicable). Tape the seams so everything stays together. To ensure your luxury vinyl tile installation is a success, it’s important to lay out the tile pattern before you start gluing them down. Mark the location of your first tile by tracing an actual tile. Make sure you place it by the door, where you will begin tiling. Pick the placement of your first tile wisely, as this will be the guide on which all other tiles will be based. You also don’t want to end up with all skinny tiles around the edges of the room. Visually, it’s more appealing if almost all of the tiles are at least half width or more. No room is perfect, and you may have to make some compromises in terms of tile size. In addition to all of this, you also want to factor in a little extra space for the grout. Starting from the furthest edge of the room, you want to spread the adhesive evenly across the floor, taking care not to leave puddles. You want to start inside the room, and work your way to the door, gluing your way OUT of the room. If you start from the doorway, you’re ultimately going to glue yourself into a corner. 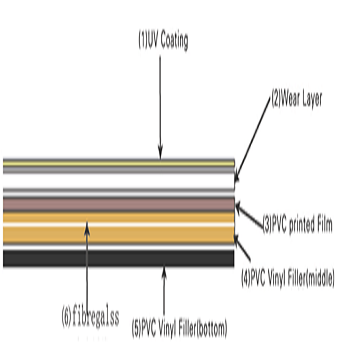 Use the same adhesive recommended by the manufacturer, and pay attention to that particular adhesive’s drying time. Generally, the adhesive will change to a lighter color when it’s ready for the luxury vinyl tile installation. If you press it with your finger, it should feel sticky but it should not pull up and stick to your finger. Just as you glued your way OUT of the room, you will now tile your way IN. With the mark you made serving as your guide, lay down your first tile. Again, place this tile very carefully, as all other tiles will be based off the first one. Carefully slide tiles underneath the base trim, because once down they will be very difficult to move. Keep grout lines smaller than ¼ inch. Your grout spacers will likely get stuck in the glue, and you’ll have to pry them up with a screwdriver when you’re done. It’s easiest to lay all full tiles first, and then go back to the ones you need to cut. Sizing your tile need not be a chore. Luxury vinyl tile is very easy to cut – just score it with your utility knife and then you can snap it. If you have to cut a hole or a curve, warm the tile with the heat gun and then carve with the knife. In an effort to ensure color and pattern variation, some manufacturers recommend pulling tile pieces from different packages. Before applying grout, it’s advisable to run a 100lb roller across the tile to ensure it’s all pressed flat and even. Using a rubber grout float, pack the joints and seams between the tiles with grout. Be sure to use the grout that the manufacturer recommends. Remove the excess grout at a 45-degree angle. After you’ve grouted the entire floor, wait a few minutes. Then, wet a sponge and remove the excess. Be sure not to use too much water, as it can cause the grout to pull up from the tile. Stay off the floor for a day or so. Then, you can install your floor transition. Carpet bars are the easiest to install, as they only require a hammer and a few nails once they’re cut to size. For bathrooms, apply caulk to the edges where the tile meets the bathtub, shower, or toilet. Whether you decide to hire a professional or do it yourself, luxury vinyl tile installation is a relatively hassle-free process. All it requires is some time and patience. Ferma Flooring has been in the market of designing, manufacturing, and importing a wide array of flooring products. We’ve been supplying retail stores nationwide for well over a decade. Click here to see our luxury vinyl product line, or find a store location near you. 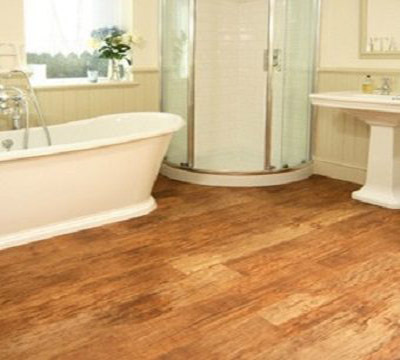 Luxury vinyl tile installation is a quick, simple, cost effective way to remodel your bathroom. Here's a guide for professionals and DIY-ers.